Things to do in Vienna April 2019. 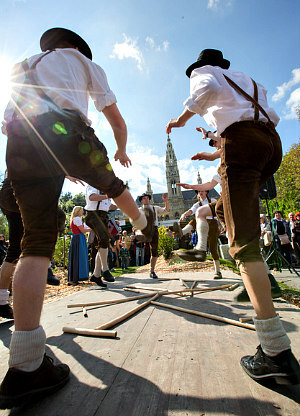 This month kick-starts outdoor activities in Vienna. Restaurants, cafés and wineries move tables and seats outdoors, boat operators re-open their trips on the Danube, and Vienna tour operators re-start their bike and segway tours. 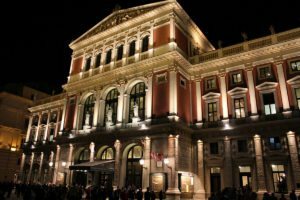 For the best indoor classical music, find out what I recommend in Vienna concerts. Things to do in Vienna April 2019. The most colourful way to celebrate Easter in Vienna is to attend its seasonal markets: see painted eggs and Easter decoration from Austria and neighbouring countries, Europe’s biggest egg pile (Easter Market Freyung) and snack on Austrian regional specialities. 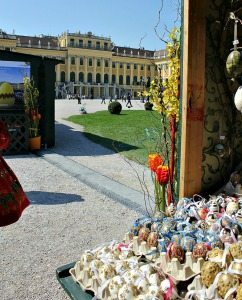 While the Easter market and crafts on Freyung focus on traditional arts and crafts, the ornament eggs at Schönbrunn’ Palace’s easter market are great and the backdrop of the palace just fantastic. It is truly imperial style. The markets Am Hof and at Altes AKH are great for local crafts fans. You can watch a few artists at work. Things to do in Vienna April 2019. 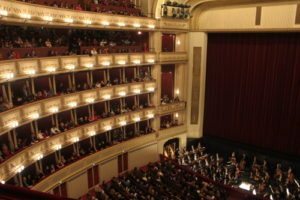 From tragic to magic – in April the Vienna State Opera and the Wiener Volksoper will stage dramatic operas such as Wagner’s Parsifal and Richard Strauss’ Salome, followed by Puccini’s somewhat lighter Turandot and La Bohème, and Beethoven’s only opera Fidelio. If you prefer more entertaining plots altogether, head for popular Wiener Volksoper to watch Jacques Offenbach’s opéra fantastique The Tales of Hoffmann, based on three stories by E.T.A. Hoffmann. Things to do in Vienna April 2019. You won’t often get a chance to listen to Leopold Mozart’s (Wolfgang Amadeus’ father) original violin producing Mozart music and other fine classic tunes in an authentic setting: To celebrate spring, Vienna’s Collection of Historic Musical Instruments invites to a musical matinée at their location at Hofburg Palace. Things to do in Vienna April 2019. Easter Sunday morning is usually quiet in Vienna. Locals search for easter eggs and visit relatives. 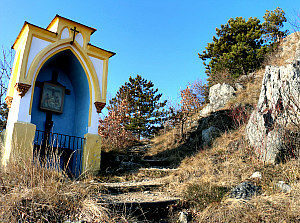 Some attend Easter mass in their communities. Before watching the world’s largest egg pile on Freyung, listen to some angelical voices. 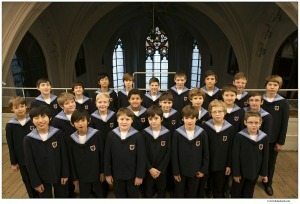 The Vienna Boys choir will sing at the Imperial Chapel and will be accompanied by members of the State Opera. Things to do in Vienna April 2019. 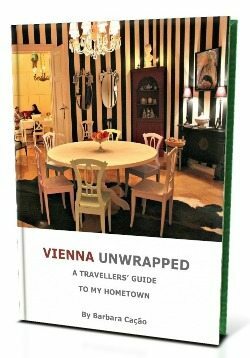 When Styrians want Viennese to visit their province they unpack the best of their folkloric traditions and food. During a four-day programme you can watch Styrian folkloric dirndls and lederhosen, a girl ‘Schuhplattler’ dance group, learn how to bake local Krapfen (donuts) with farmers from Schladming, watch local basket weaving and black smithing, and join picnics. By the way, Styria makes a great day trip from Vienna, such as this tour to the regional capital of Graz. For bespoke private tours to castles, wineries and an amazing chocolate factory, get in touch. Things to do in Vienna April 2019. In April, our landmark St. Stephen’s Cathedral will host two special one-off concerts: First, the English Salisbury Cathedral Choir, has been invited to share their love of church music with the Austrian public. Five days later, an American young choir from Maryland, USA, will fill the Cathedral with choral music by European composers Rheinberger, Hogan, Morley, and Praetorius. Things to do in Vienna April 2019. Did you know that Beethoven lived in Vienna for longer than Mozart? This makes him about as Viennese as Salzburg-born Wolfgang Amadeus. (In fact, Beethoven first came to Vienna to study with Mozart.) Ever more reason to listen to the Vienna Philharmonic Orchstra perform his symphonies at Vienna’s prestigious Musikverein. Then, a few days before Passover starts, you will get the rare opportunity to hear the romantic sounds of Swiss composer Ernst Bloch and Austrian genius Erich Korngold. Even if I didn’t tell you that Bloch’s lively Hebrew Rhapsody for Violoncello and Orchestra (Schelomo) formed part of his ‘Jewish Cycle’ you would easily hear the liturgical and folk references. Much like Schelomo, Korngold’s dynamic Sinfonietta for Large Orchestra in B Major, flows in varied rhythms. And if the name Korngold rings a bell with you, then probably also for his Hollywood film music that he later composed. Things to do in Vienna April 2019. Exactly 70 years ago, Carol Reed’s cult thriller about post-war Vienna – The Third Man Movie – hit the cinemas. When filming in Vienna, the production team discovered the zither music of Viennese Song musician Anton Karas by chance. Consequently, ‘Harry Lime’s Theme’ also catapulted the Viennese zither to world wide fame. 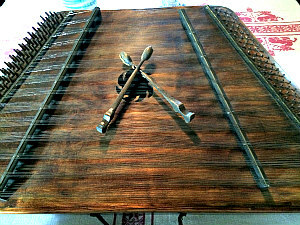 And just a few years ago, the Wiener zither became part of the Immaterial Cultural Heritage by UNESCO. To celebrate the movie and explore the historic Viennese Song, follow the Viennese Folk Song Association (Wiener Volksliedwerk) to the elegant ballroom of their suburban headquarters. Things to do in Vienna April 2019. 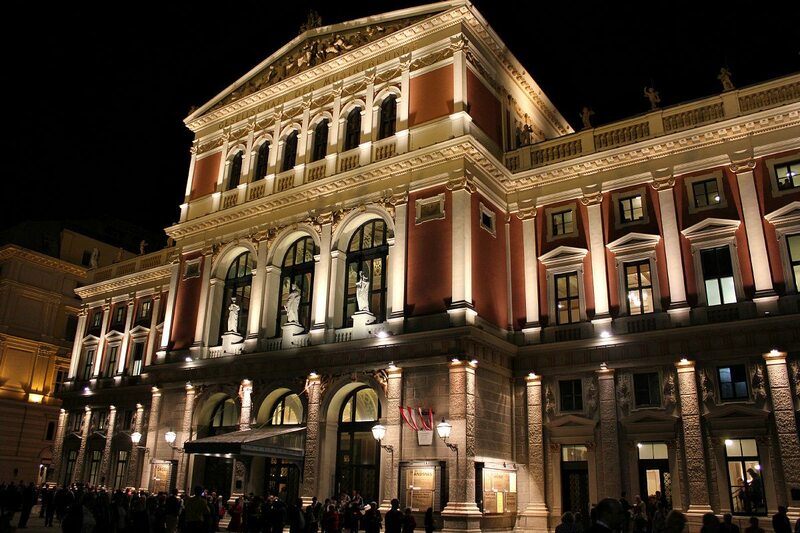 Ever tried to get tickets to the Vienna Philharmonic Orchestra live? If you are still waiting for your chance, consider visiting A Tribute To Vienna. 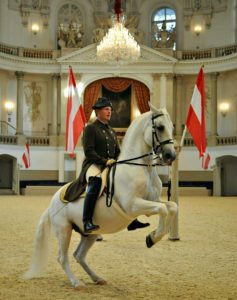 At the baroque winter riding hall of the Spanish Riding School, Professor Günter Seifert from the Vienna Philharmonics will perform Strauss waltzes and other Viennese classics along with other Philharmonic colleagues. As part of the programme the white Lipizzaner stallions will perform their ballet. Things to do in Vienna April 2019. Lush hills, illuminated forest paths, romantic ruins, Alpine peaks and sparkling waterfalls: Once you see those gorgeous landscape paintings at the Austrian National Gallery you will want to step right into them. While figuring out your own route isn’t that easy several tour guides now lead small or private groups of participants along easy to mid-level hiking paths. Actually walking through fragrant pine woods and rocky gorges, passing caves, waterfalls and wayside shrines just adds that extra dimension that most visitors will never experience. Check the different hiking tours. Things to do in Vienna April 2019. I keep saying it but exploring Vienna by bike is so great. You can easily explore most of Vienna’s landmarks by bike. The two best Vienna tours by bike cover classical Vienna (morning tour) and the area around the Danube Island including sights of the Vienna Ringstrasse boulevard. They are great for orientating yourself. Besides, you will stop frequently to hear stories of landmarks you pass. An e-bike tour can take you much further. 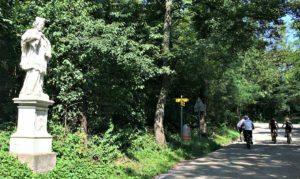 Last year, I joined an e-bike group up Vienna’s rolling hills and vineyards. Read the full story about my electric Vienna bicycle tour. 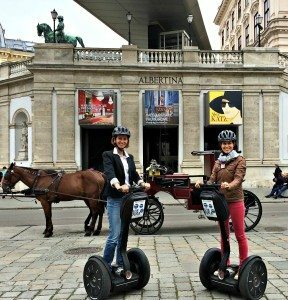 I have also done two segway tours in Vienna and loved them both. The first was a classical sightseeing tour along the Ringstrasse boulevard and across the historic city centre. The second was a fun tour through the lush woodlands close to the Vienna Prater amusement park. 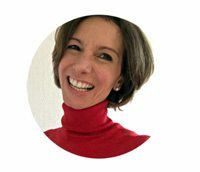 Read my tour reviews in Vienna tours by segway. Things to do in Vienna April 2019. 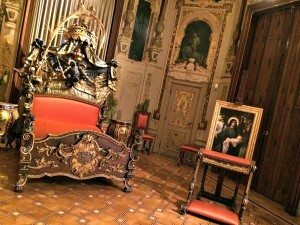 Empress Sissi’s romantic bolthole will have re-opened after its winter break. Hardly known by tourists, Hermesvilla is a beautiful countryside retreat set in the Lainz Natural Reserve, just a few kilometres from Schönbrunn Palace. I visited the villa with my mother and the kids on a sunny Sunday afternoon, strolling off the tourist streams in a semi-wild park landscape to the villa. There is also a deer reserve and a good restaurant onsite. Learn more about Empress Sissi’s Palace of Dreams. Things to do in Vienna April 2019. At hardly an hour from Vienna the scenery changes in Burgenland to Austrian countryside bliss, even more so with March’s snowbells and daffodils. I love walking and biking alongside vast Lake Neusiedl, visiting a local winery and taking my family to Medieval Forchtenstein Castle (photo). Especially if you like to explore Austria off the beaten tourist paths, a day in Burgenland gets you far beyond the usual guide books. Find out more in Burgenland-Wine-Esterhazy. Things to do in Vienna April 2019. Have you ever jogged to classical music? 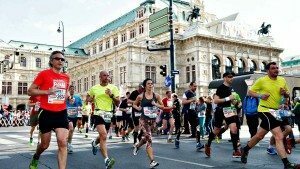 At the Vienna City Marathon, more than a quarter of the track will resound to music from Wolfgang Amadeus Mozart, Richard and Johann Strauss, Ludwig van Beethoven and others. The afternoon before, runners charge themselves with carbohydrates from our thick pancakes (Kaiserschmarrn) and pasta at a party in Vienna’s City Hall. In parallel to the standard marathon, a half-marathon, the world’s biggest relay marathon, and two children’s races will take place.